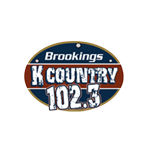 Incumbent Brookings City Council Member Mary Kidwiler has filed for reelection to the Brookings City Council. She is the first to file. The seat currently held by Holly Tilton-Byrne is also up this year. Three people have filed for the three open positions on the Brookings School Board. Board President Melissa Heermann and incumbent Van Fishback have filed for three-year terms. Wes Tschetter, who was appointed to the Board, has filed to run for a one-year term. The deadline to file petitions is February 22 and the city election is April Ninth.